SANTA MONICA, Calif. (KABC) -- Starting Monday, Santa Monica is expanding its bike share system. Breeze bikes will cover a 35-square-mile area including Beverly Hills, West Hollywood and UCLA's main campus. Santa Monica's city council approved a five-year agreement. The network will allow users to travel between systems using one account. 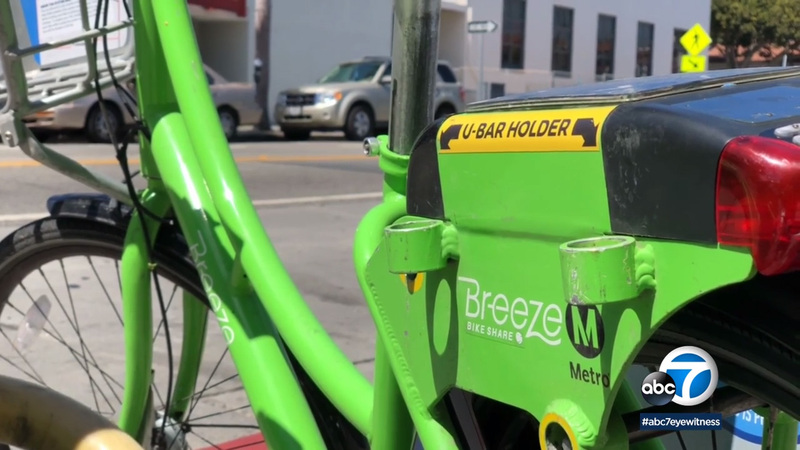 Breeze is the first bike share program in Metro L.A. with more than 87,000 subscribers.